Come September 1 and Singapore will be the fifth country to be linked to Bhutan by air. The Special inaugural Druk Air flight from Paro landed at Changi Airport yesterday. The six hours flight service will operate twice a week . Passengers traveling to Singapore currently has to stay overnight in Thailand or India. Records show that the number of Singapore travelers heading to Bhutan has increased over the period of time mainly because of the cooperation at both the government and people-to-people levels in areas such as education, healthcare and media. 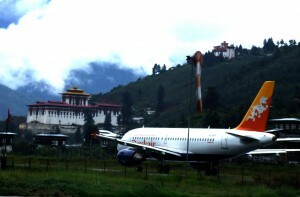 Last year 1,300 visitors from Singapore visited Bhutan.